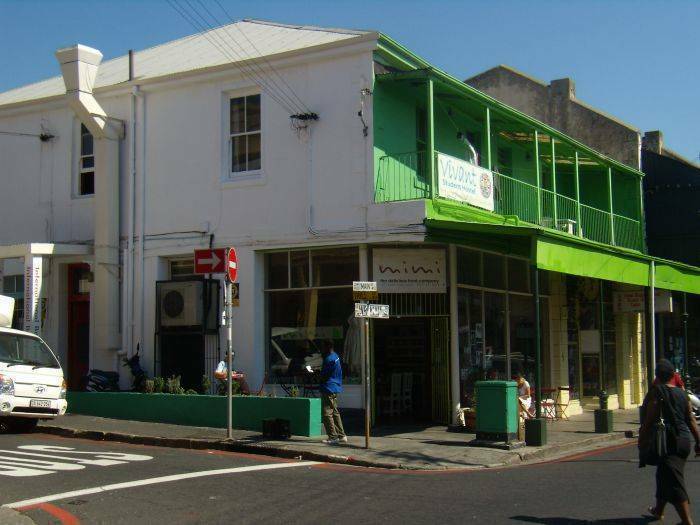 Situated in the heart of the bohemian and vibey Cape Town suburb of Observatory with its wealth of bars and restaurants. Located on the first floor with balconies overlooking the centre of the action. All rooms are en suite and are cleaned daily and there is a lounge with TV and DVD as well as separate dining area. 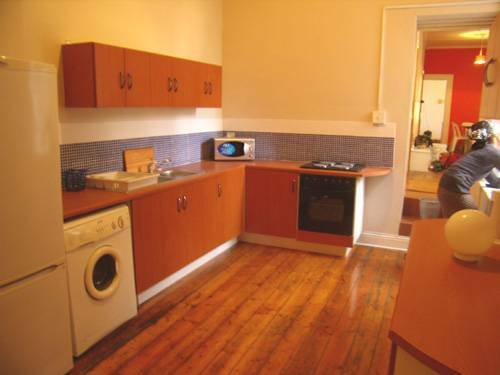 the kitchen is fully equipped including washing machine, stove, microwave and crockery. 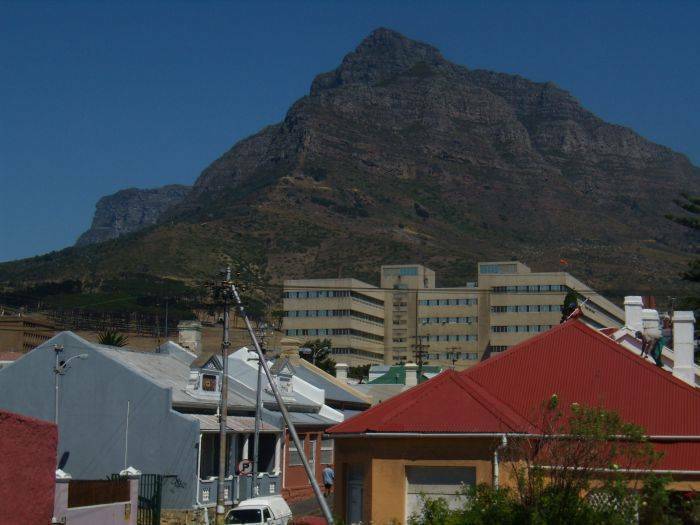 We offer a safe, secure and comfortable stay in this self catering Hostel only a 10 minute drive from the foot of table mountain or the beaches of Camps bay and Clifton. The waterfront is also a short distance away for the discerning shopper. A Catamaran can be taken to Robben Island from the harbour. 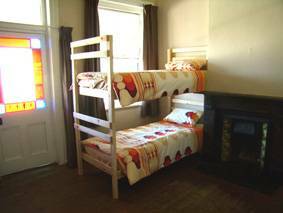 If you are wanting to explore the western cape from a base then the hostel is ideal as Observatory is served by all main transport links. A 5 minute train ride with take you to Cape Town central Station. Each room is fully furnished including linen and has an en suite bathroom with either full shower or bath. The communal areas include a new fitted kitchen with all appliances (washing machine, microwave, toaster etc) as well as a dining area and lounge with TV and DVD. Each room is fully furnished and includes linen. There is an en suite bathroom to each room. There is a wireless connection accessible from each room. Observatory is located on the outskirts of the city centre and provides a village feel in this predominantly victorian suburb. The village is personified by the yearly "obs fest" which is a celebration of everything observatory and is one of the largest street parties in South Africa. It is an eclectic mix of arts, races and cultures expressed through music and food. Up market street cafe with delicous pastries and a wide selection of beverages. An essential Observatory experience this Victorian quaffery is unique and quaint with its maze of small rooms to enjoy. An Observatory landmark and situated in the hub of Obvservatory offering simple and tasty food. A great mixture of Chinese, Korean and Japanese food on offer here .Sushi is their speciality. Payment is required 24 hours before arrival to confirm booking. Any cancellations up to 48 hours prior to arrival will result in a one night charge. Vivant Student hostel is located on Lower Main Road in the centre of Observatory and directly above Obz Cafe -Just ask anyone.